Frustration and concern with local property taxes reached a tipping point recently in Bridgeport following the distribution of 2016 property tax bills. While there is plenty of shared blame for Bridgeport’s current, burdensomely high mill rate, this is not simply a neighborhood or municipal issue — it is a State concern that has been decades in the making. For far too long, Connecticut has turned a blind eye to its cities, letting them suffocate under the legacy costs they incurred generations ago in order to be the postwar, industrial drivers the State relied upon to build our 20th-century economy. As heavy industrial production declined, Connecticut led the charge to suburban corporate office parks where development was cheap and costs were lower. Now, in the 21st century innovative economy, businesses and young professionals are looking to move back to dynamic, livable, walkable cities. 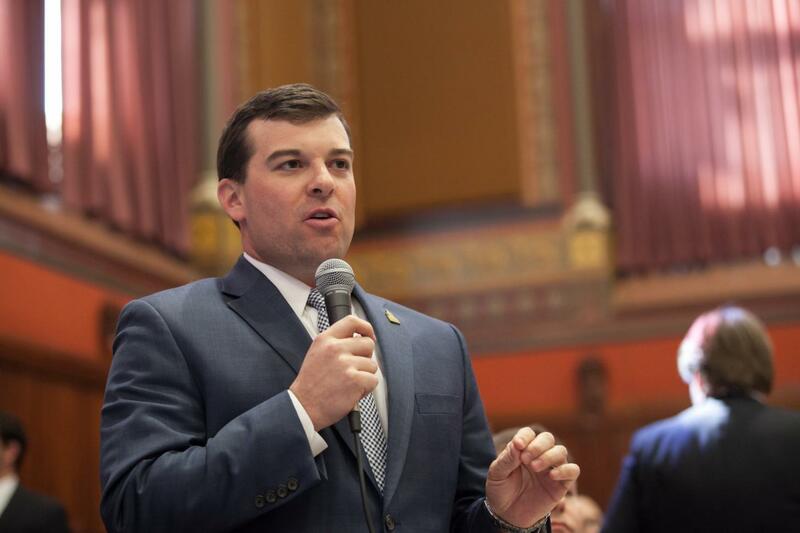 Connecticut has been late to recognize this demand and is now disadvantaged by having cities which for far too long have been left to bear their own legacy costs as residents have fled to lower cost municipalities. Certainly, poor municipal decision making has compounded the problem for Bridgeport. But, the fact remains that the current reality of high taxes, struggling schools and reduced services in our cities has caught up with us, as business and residents look out of state for the dynamic city life they crave. To punctuate this point, a recent report published by the Commission on Economic Competitiveness found that revitalizing our urban cores is one of the keys to our future economic growth as a state. In order to improve the pace of Connecticut’s economic growth, it is abundantly clear that we have to fix our cities and this starts with reforming the regressive property tax structure that imposes an undue burden on city residents and stifles job growth and economic development. Though we only recently started making progress on fixing a decades old problem, I’m proud of the work the legislature has done over the past two sessions that has begun to move the state in this direction. For the first time in the state’s history, we have allowed cities a revenue stream other than the property tax by sharing with them a small portion of the sales tax. This has allowed us to cut and cap the car tax and send additional municipal aid of around $7 million per year back to a city like Bridgeport. We have worked in a bipartisan fashion to save Bridgeport taxpayers $10 million in pension payments over the next two years, and have allowed municipalities a local option to impose an admissions tax at entertainment venues. And, we have implemented a spending cap beginning in fiscal year 2018 to help force cities to live within their means. However, as evidenced by recent municipal budgets, this is just scratching the surface and significant tax relief is still needed for our city residents. To that effect, the State needs to continue to partner with our cities in helping them to thrive as the livable, walkable and sustainable regional job creators and economic drivers we need them to be. The growth of our state economy depends upon it. Obviously, more needs to be done. Our future quality of life in our state depends on what happens to our municipalities. When the 2017 session of the General Assembly convenes in January we must join with all our municipal colleagues to work together to continue to improve on the progress that has been made. We owe this to all our residents!